AABSyS IT, a premier GIS, CAD and software services company in India, maintains a successful track record of providing cost-effective, IT outsourcing services to Geospatial and IT companies worldwide. Some key international clients visited AABSyS IT during the month of July. AABSyS Information Technology is a leading GIS, CAD and software company providing its services worldwide since 1998. The company operates from its corporate office and delivery center based in Bhubaneswar. AABSyS has a track record of working with virtuous clients both nationally and internationally and has always maintained an excellent association with its customers worldwide. During July 2013, two of AABSyS international clients from The Unites States, visited the company’s state-of-the-art infrastructure at Infocity, Bhubaneswar, India. US clients at AABSyS state-of-the-art infrastructure and while visiting temples at OdishaDirector & CEO of a reputed US based software services company personally visited AABSyS from 14th – 17th July 2013. During his stay at AABSyS, the client was introduced to the technical team. He reviewed the company’s GIS application development project details and signed the business agreements with AABSyS. A couple of weeks later, another leading US company in sketching software development, visited AABSyS for a period of four days from 25th – 29th July 2013. Chief Operating Officer (COO) of the company was accompanied by senior project management team. They were introduced to the technical team and a step by step project execution methodology was illustrated. Details regarding deliverables were also discussed during the meet. The clients were impressed by AABSyS’s work culture and discussed about future business opportunities between the two organizations. The company’s international clients are always happy with the outstanding work culture at AABSyS, and also whilst their visit in Odisha, the clients get the opportunity to combine work with recreation. They explore the peace and tranquility of the ancient city of Bhubaneswar, visit 800 years old temples and enjoy the beaches which are just an hour’s drive from the office. 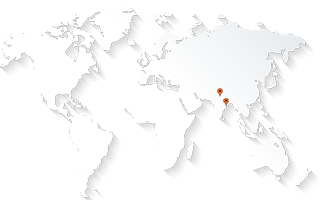 AABSyS’s geographical location in Odisha thus complements and attracts international business prospects.